We have a few updates and improvements with this latest version of Feedback Hub which we are excited to share with you and have you try out! 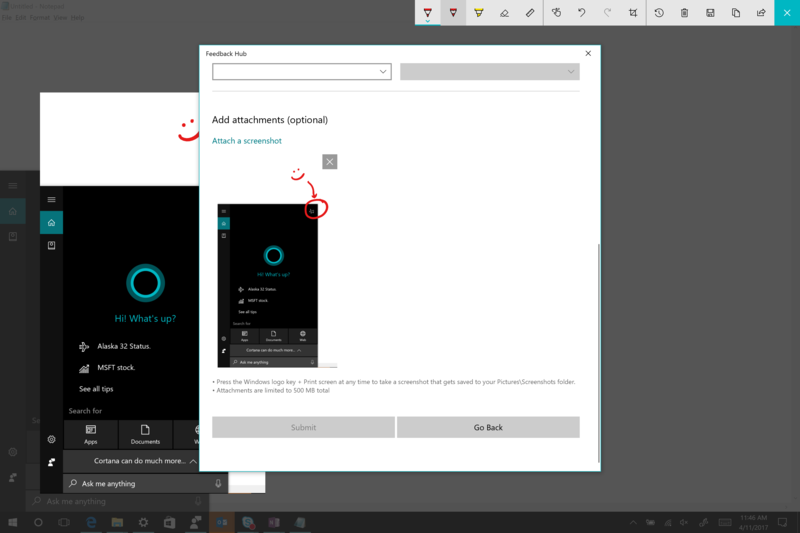 With this app release Feedback Hub is now available as a windows share target for picture file types (png, jpeg, and jpg). This means that you can now easily and quickly share images with your annotations to Feedback Hub and add feedback to it. You can share images to Feedback Hub using any app that can share photos (e.g. 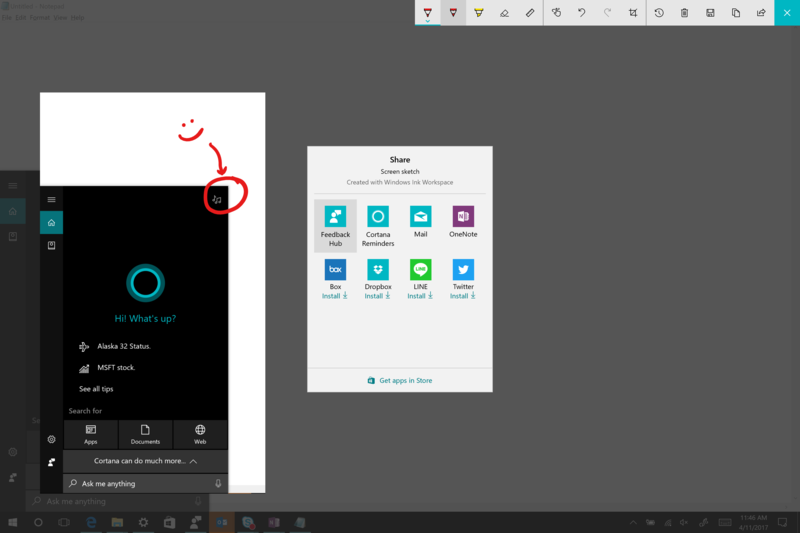 Photos, File explorer, Screen Sketch etc.). 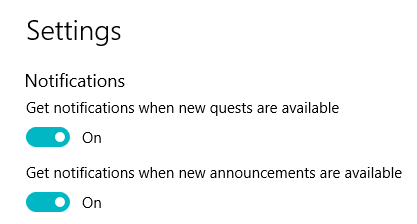 It will now be easier for you to keep up to date on new announcements and quests. In the coming days you may start getting app notifications for new announcements and quests when they are published. This will help keep you informed on the new exciting updates. 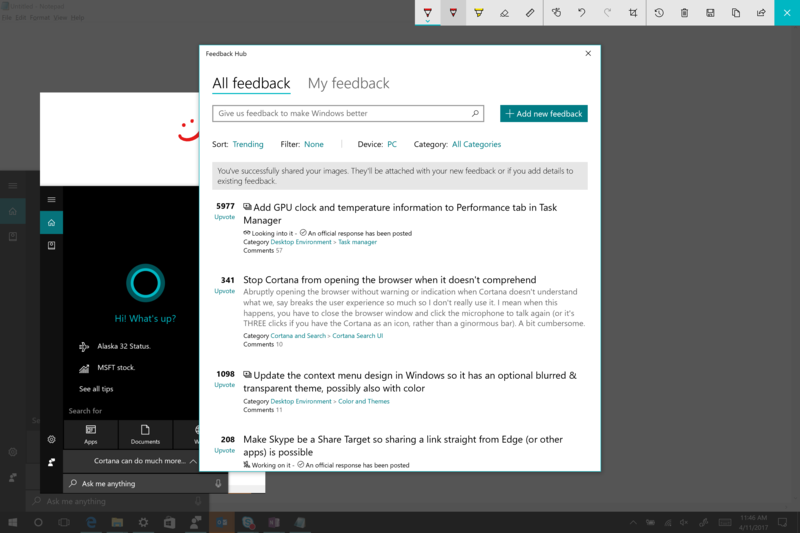 The notifications can be received on older Feedback Hub versions as well, but the notification settings are available with 1.1703.971.0 or higher. We recently made a change to our service to improve the way search results are shown for URLs when providing feedback on Edge related items. We hope with these improvements it makes it easier for you to find similar results and upvote the ones that match your feedback. 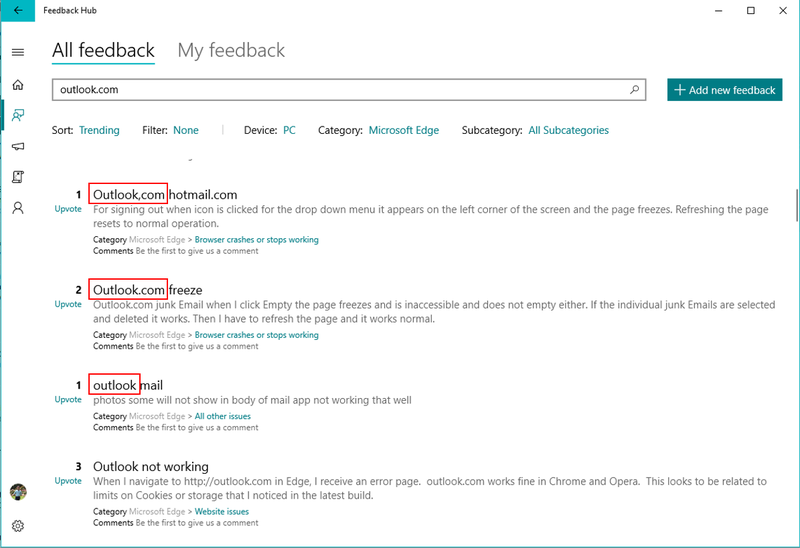 These search improvements are available to all versions of Feedback Hub.